Economic expansion in the BRICS cluster – Brazil, Russia, India, China and South Africa – has been, potentially with the exception of Brazil, fuelled by policies which traded off environmental objectives in favour of economic expansion. After over two decades of growth, this trade-off is increasingly coming under the spotlight; China continues to be the largest GHG emitter globally, and both India and the Russian Federation are within the top 10 global emitters.80 Despite negative growth years for some BRICS during the economic recession in 2009, and recent IMF estimates projecting the slowdown of growth in BRICS – with growth for South Africa, China, Russia and India projected to be 1½ to 4¼ percentage points lower in 2013 than it was in 201182 – the economies of BRICS countries are still expected to remain in positive growth figures. Throughout this growth period, BRICS countries have largely upheld policies to ensure affordability of energy to drive competitiveness in industry. Industry growth has been the primary driver of energy demand in countries like China, where industry accounted for nearly 50% of final energy consumption in 2012.84 These policies have, to some extent, been to the detriment of the environmental sustainability of the energy systems that developed as a consequence. In response to growing environmental concerns, both China and India have set a range of targets to reduce the energy intensity of their economies and improve their climate metrics. China’s current Five-Year Plan has among its targets the reduction of energy intensity of its industry by 16% by 2015 from 2010 levels – this is further complemented by the 10-Point Plan adopted by the Chinese government in 2013 to tackle urban pollution. Similarly, India has plans to reduce carbon-intensity by 20-25% by 2020. To achieve these targets without hindering growth, BRICS countries need to realize opportunities to balance the imperatives of the energy triangle. To achieve a 2°C increase scenario – to limit global warming to a 2°C increase to 2035 – the IEA suggests four key GDP-neutral emissions abatement measures: adopting energy efficiency measures; limiting use and further deployment of low-efficiency coal-based power plants; phasing out fossil fuel subsidies; and minimizing methane emissions from upstream oil and gas. Given the diversity of energy systems within the BRICS countries, each measure is likely to have a varying degree of impact by country. Energy efficiency measures in the industrial, residential and transportation sectors can make a strong contribution to reducing GHG emission globally.85 Potential efficiency measures in these sectors include the implementation of minimum energy performance standards (MEPS) in cooling/heating products, residential appliances and industrial equipment. Addressing energy consumption of industry in economies such as China and India is key to achieving efficiency improvements. Aside from the roll-out of MEPS for industrial motors, China is increasing standards and regulation for its largest industrial energy consumers through a range of measures including the Top 10,000 Programme, which sets energy savings targets to 2015 for the largest industrial consumers accounting for 85% of energy demand in industry.86 According to the Chinese State Council, the programme could save an estimated 250 million tonnes of coal equivalent and 610 million tonnes of CO2 from 2011 to 2015. Similarly, in India, the “Perform, Achieve and Trade” initiative was set up as a mandatory trading system for energy efficiency obligations in some of the most energy-intensive industry industries. Coal-powered generation is predominantly a concern in China, India and South Africa. China accounted for 46% and India 9% of global coal consumption in 2011, while coal contributed to 70% of total primary energy supply in South Africa the same year. Most forecasts believe coal will continue to play a key role in meeting the increased energy demand in these countries. However, environmental pressures are driving these countries to identify measures to limit the use of low-efficiency coal power generation, in favour of more efficient fossil fuel technologies, or through investment in renewable energy capacity. China is exploring a range of fiscal and financial disincentives and is currently piloting emission trading in its most emission-intensive districts – however, carbon trading schemes such as the EU ETS have had limited success to date. 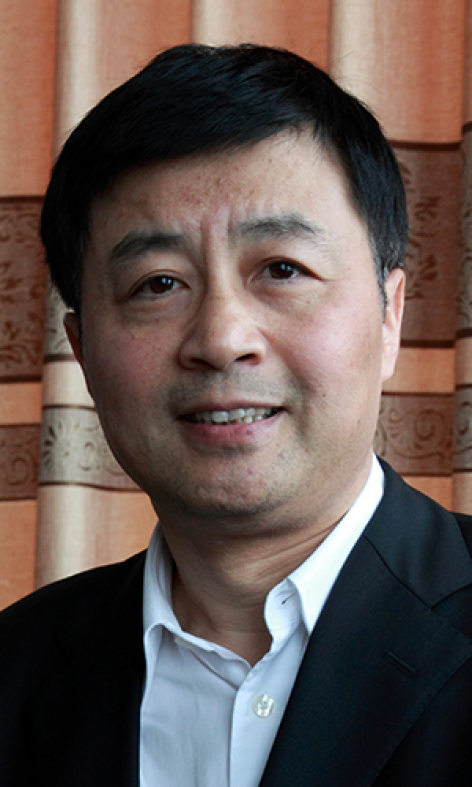 In addition, China has indicated the potential roll-out of a resource tax on coal, and the country’s 10-Point Plan to tackle pollution aims to reduce the proportion of coal in total energy consumption to 65% by 2017.88 A perspective from Lin Boqiang, Director at the China Centre for Energy Economics Research of Xiamen University, further expands on the transition pathway of China towards improving its energy-environmental performance. India and South Africa are also exploring a range of measures to reduce coal consumption and replace it with alternative, lower-carbon options. Disincentives for coal consumption can contribute to creating an enabling environment for the deployment of low-carbon power generation. BRICS countries all have in place targets to increase their share of energy from renewable and low-carbon energy sources. Aside from having targets for renewable energy, India is continuing its long-term drive to increase the share of nuclear capacity from 4% in 2011 to 25%.89 Although installed renewable capacity has grown significantly over the past decade, cost competitiveness with fossil fuels, reliance on subsidies and incentives remain a challenge, underlining that more needs to be done to address cost and market structures for renewables. Subsidy reform globally has been challenging and a politically sensitive topic in a number of countries. Best practice in addressing subsidy reform emphasizes the importance of clearly communicating the objectives with stakeholders and consumers, planning a long-term, gradual phase-out, and monitoring the progress and impact of the policies.93 In Nigeria (2012) and Bolivia (2010), overnight significant reductions on subsidies were met with public protests and civil unrest – drawing attention to the need for long-term planning and information campaigns to support any such measures. The energy sector is responsible for 40% of global methane emissions, a greenhouse gas with a global warming potential 21 times higher than CO2. 94 In the energy sector, the vast majority of methane emissions occur when natural gas is released in oil production operations (“associated petroleum gas”), as part of safety venting operations or due to leaks during transmission and distribution. With extensive oil and gas production and pipeline infrastructure, methane emissions are a key challenge for Russia – the country was responsible for 40%95 of global energy-related methane emissions in 2012. In 2009, Russia aimed to reach a 95% utilization rate of “associated gas” by 2012; however, estimates from 2012 point at a 76% utilization rate achieved96 to date. Although a number of measures are being implemented, the cost of retrofitting extensive infrastructure and limited success in enforcing standards is impacting progress. In the absence of stringent regulation and incentive mechanisms, it is unclear to what extent capture and reuse technologies will be implemented. As evidenced above and in the performance of the BRICS cluster in the EAPI, these economies face a number of challenges in balancing the energy requirements of their growing economies with the concerns over the long-term environmental sustainability of their energy systems. The IEA recommendations for GDP-neutral carbon abatement solutions identify the key opportunities for developing long-term strategies to address the environmental challenge. China has achieved impressive economic growth over the past three decades. However, the recent environmental pollution (haze) in major Chinese cities has greatly attracted the public’s attention to the seriousness of environmental pollution. It clearly indicates how much China has paid environmentally for its economic growth. China’s State Council issued an action plan of air pollution control on 12 September 2013. The plan expresses China’s effort in the next five years to improve overall air quality and drastically reduce air pollution, especially in areas near Beijing, the Yangtze River Delta, and the Pearl River Delta. There are many factors contributing to air pollution in China. However, controlling energy consumption, changing the energy structure and increasing the supply of clean energy are likely to be the main factors in reducing air pollution in these regions. The plan focuses on reducing coal consumption in Eastern China, which is still in a development stage of relatively high economic growth and represents a major portion of projected increases in energy demand. If renewable or cleaner-burning energy sources cannot meet the growing energy demand in the eastern regions, energy resources, especially coal from the western regions, will be required to supplement electricity – compounding the pollution problems in the western regions. Coal currently provides 69% of primary energy and close to 80% of electricity in China. Hydropower development is restricted by its potential, and other renewable energy, such as wind and solar, are too small to make a meaningful contribution at this point. Nuclear energy could substitute coal substantially, but it requires a long-term development plan. Natural gas with less emission could possibly substitute not more than 5% of coal in the primary energy mix in next few years. Air pollution control in the eastern regions will result in more pollution in the western regions in two ways: one is the migration of high energy-intensive industries from the eastern to the western regions, and the other is more coal-fired power generation in the western regions that could be transmitted to the eastern regions. Therefore, the trend of accelerated pollution in the western regions seems inevitable. What happened in the eastern regions should be an important lesson for China. How to balance economic growth and development with the challenge of environmental sustainability is critically important today, as China has been forced to clean up the eastern regions that could lead to high possibilities of polluting the western regions. The government needs to establish two mechanisms to avoid the pollution pattern in the eastern regions. First, the terms of trade for energy transfer should be in favour of the western regions so that an effective ecological compensation mechanism could be established to minimize the environmental impact. The central government needs to coordinate and ensure reasonable energy prices, which can support economic development in the western regions and curb energy consumption in the eastern regions. Secondly, the government should ensure ordinary people in the western regions benefit from the energy resource transfer. With higher incomes, the people in the western regions could gain access to commercial energy, change their energy consumption patterns, afford cleaner energy and reduce coal consumption. 80 For the majority of economies in this cluster, achieving greater balance between economic growth and environmental sustainability is a key priority. Over the past decade, BRICS countries have experienced rapid industrialization, economic growth and increases in GDP per capita. On average, the GDP of Brazil, China, India, Russia and South Africa grew by 7% annually between 2002 and 2012. [fn 81]GDP per capita, PPP (current international $). World Bank, http://data.worldbank.org/indicator/NY.GDP.PCAP.PP.CD. 82 World Economic Outlook, October 2013. IMF. 83 Redrawing the Energy-Climate Map, June 2013. Paris, France: IEA. 85 Redrawing the Energy-Climate Map, June 2013. Paris, France: IEA. 86 The Race Is on: China Kick-Starts its Clean Economy, October 2011. San Francisco, CA: The ClimateWorks Foundation. 87 Pathways to an Energy and Carbon Efficient Russia, December 2009. McKinsey & Company. 88 “China to Tackle Air Pollution with a New Action Plan”. Clean Air Asia, September 2013. 89 EIA, Country Analysis, India. 90 The EIA estimates that China holds 1,115 trillion cubic feet of shale gas, nearly double the size of US reserves. 91 Redrawing the Energy-Climate Map, June 2013. Paris, France: IEA. 92 World Energy Outlook 2012. Paris, France: IEA. Data for subsidies relates to 2011. 93 A Guidebook to Fossil-Fuel Subsidy Reform, May 2013. Geneva, Switzerland: Global Subsidies Initiative (GSI). 94 “Global Warming Potentials”. United Nations Framework Convention on Climate Change, http://unfccc.int/ghg_data/items/3825.php. 95 Redrawing the Energy-Climate Map, June 2013. Paris, France: IEA.